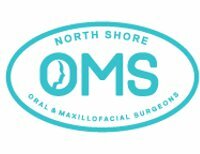 Located in Milford, North Shore Oral & Maxillofacial Surgeons (NSOMS) specialise in both oral surgery and maxillofacial surgery. Our surgeons Dr Sam Goldsmith and Dr Han Choi provide high quality surgical care specialising in wisdom teeth surgery, dental implants, corrective jaw surgery, management of TMJ disorders and tooth extractions. Oral & Maxillofacial Surgery deals with the diagnosis, surgical and adjunctive treatment of diseases, injuries and defects of the human mouth, jaws and associated structures. The oral surgery specialty is concerned with the diagnosis and surgical management of the conditions affecting the oral and dento-alveolar tissues. At NSOMS we practice a range of oral & maxillofacial surgery. We have an in-built theatre facility and can offer you several anaesthetic options including general anaesthesia, IV sedation, and local anaesthesia. We keep up with the latest knowledge and techniques to provide patients with best possible treatment. We are an affiliated provider for Southern Cross health insurance and we work with all other medical insurance companies. Please see our website for more info. For after hour requirements please ring our rooms to find out the contact details for the surgeon on-call. At NSOMS we focus on delivering our expertise to our patients while ensuring their safety and comfort.